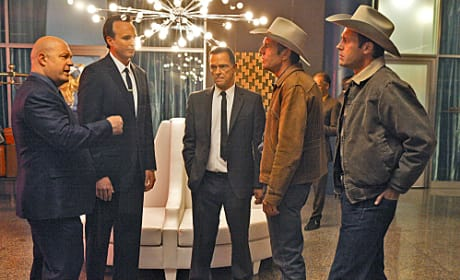 Jack and Dixon investigate the death of a showgirl on Vegas. "Masquerade" is the eighth episode of the show's first season. 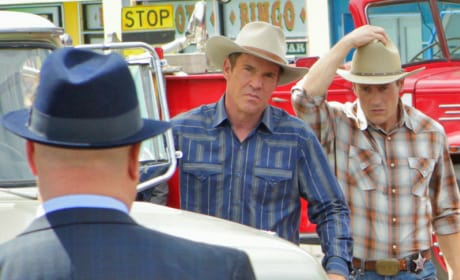 Sheriff Lamb takes Savino home to his ranch when his life is in danger on Vegas. "Bad Seeds" is the seventh episode of the show's first season. Johnny Rizzo makes Savino's life uncomfortable when he hires his ex-mistress to work at the Savoy on Vegas. 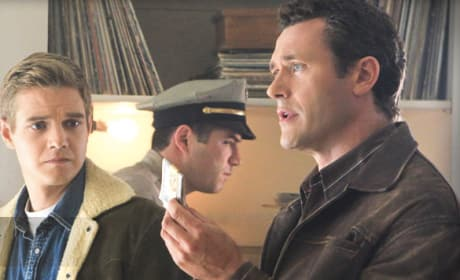 "Exposure" is the seventh episode of the show's first season. The election for mayor is up for grabs in Vegas. "The Real Thing" is the sixth episode of the show's first season. Savino's wife comes to Vegas and neither of them look happy in this photo on Vegas. "Solid Citizens" is the fifth episode of the show's first season. Ralph and Jack question Savino about an explosive incident on Vegas. "Legitimate" is the fourth episode of the show's first season. Lamb and Savino have a talk at the Savoy on this episode of Vegas. "All That Glitters" is the third episode of the show's first season. 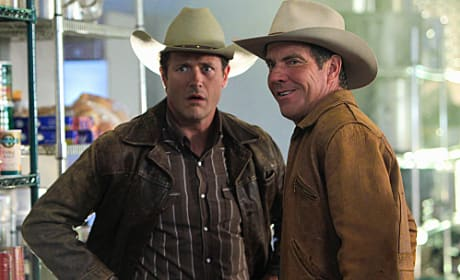 Ralph and Jack investigate the murder of a craps dealer on Vegas. "Money Plays" is the second episode of the show's first season. 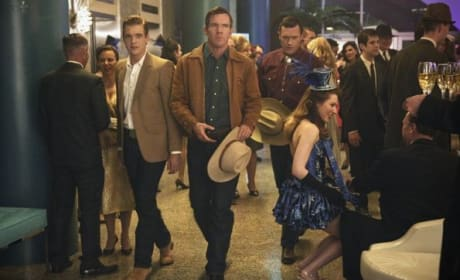 Dennis Quaid stars on Vegas as Ralph Lamb. He's the new sheriff in town. 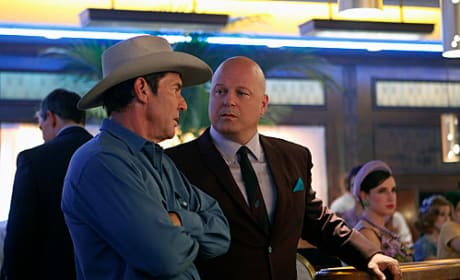 Michael Chiklis is seen here as Vincent Savino. He's a Chicago mobster with plans to make Vegas his own. Your good with number and better with people than I am. Permalink: Your good with number and better with people than I am. Did I tell you to lay hands on this man? Permalink: Did I tell you to lay hands on this man?